Car/ambulance for Dr Chuga and his team has been bought – thanks to your generosity! At last we bring good news! 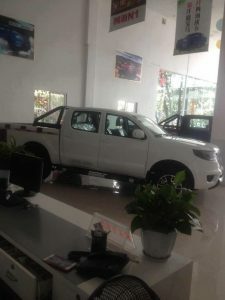 Ringu Tulku Rinpoche has just sent me the photo of the brand new car/ambulance that Dr Chuga and his team bought on Saturday 12 August. They are so pleased with the car. It will help a lot of people getting to hospital which is one or two days journey. The car can help Dr Chuga visit patients near and far, sometimes several hours drive. The car/ambulance is robust and built for rough terrain in the mountains. The car can take five passengers. 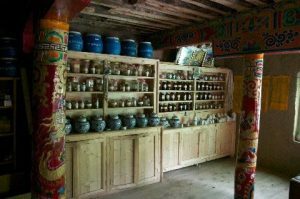 The open back of the car will be used for collecting medicinal herbs from the mountains, hillsides and valleys in Tibet as well as transporting goods and materials. 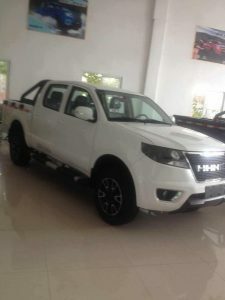 The price paid was 95,000 Chinese Yuans, I converted this at today’s rate and it is equivalent to £11,024 British pounds. 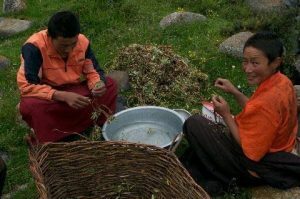 This is an image of Ani Choden and colleague sorting and drying medicinal herbs after collection from the area. More news soon from all of us at Rigul Trust. Thank you so much for all your help and generosity. Wishing you all the very best on behalf of Ringu Tulku Rinpoche, the people in Rigul, the trustees and myself. No Comments to "Car/ambulance for Dr Chuga and his team has been bought – thanks to your generosity!"